South Bend, IN. January 29 — Stay Metrics announces the milestones reached by Drive Safe and Drive Fit since the innovative training courses became part of the privately branded Driver Rewards engagement and retention platform that Stay Metrics administers for carriers. Drivers have been awarded more than 250,000,000 points from their carriers for completing 170,000 lessons to date. Drivers can redeem their points on thousands of valuable, non-cash items through an online catalog. 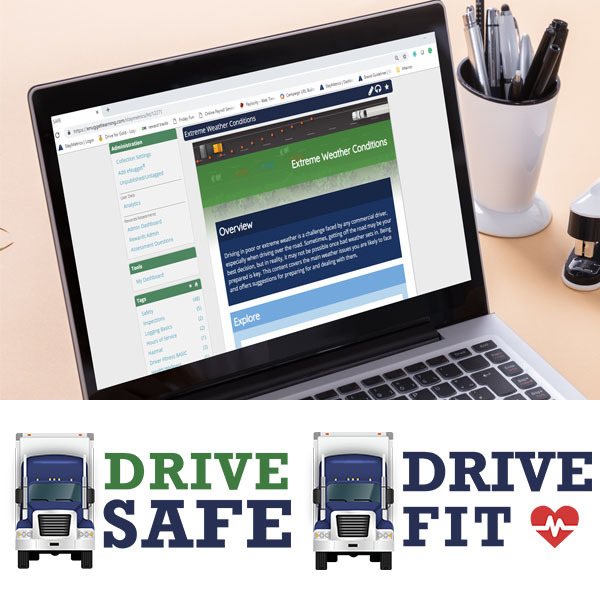 Drive Safe and Drive Fit break this mold by delivering a rewarding training experience that caters to the individual learning needs and preferences of drivers. To develop these training collections, Stay Metrics partners with Luma, a research-based learning and instructional design company. The learning modules deliver short, interactive learning experiences that improve driver safety and wellness in meaningful ways. On average, drivers have scored 86.6 percent on the lessons to date. The modules are continuously improved using real-time analytics and driver feedback. This ensures the content stays current and relevant to drivers. Drivers continually give high ratings to the modules. From the beginning the average rating drivers give has remained high at 4.4 out of 5. Stay Metrics has recently added an Extreme Weather Conditions module to Drive Safe. Recently added modules to Drive Fit include courses on Dealing with Stress and Depression. Both of these courses were specifically requested by drivers. Two more Drive Fit topics, also requested by drivers, will be coming soon: Caring for Elderly Parents and Strategies for Being Comfortable in Your Cab.